Allenberg, C. and Auer, P. and Györfi, László and Ottucsák, György (2006) Hannan consistency in on-line learning in case of unbounded losses under partial monitoring. Lecture Notes in Computer Science, 4264. pp. 229-243. José L. Balcázar, Philip M. Long, Frank Stephan (Eds. ): ALT 2006. 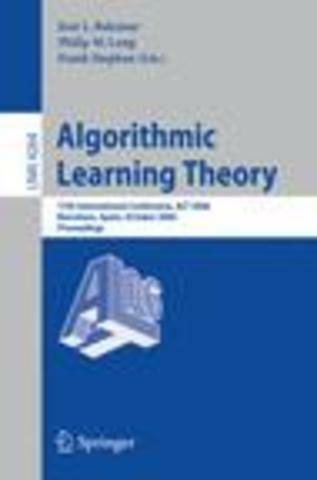 17th international conference on algorithmic learning theory. Barcelona, 2006. Berlin, Springer, 2006.